Imagine – in just 21 days, you’ll understand exactly how to flirt and hold conversations, how to attract the men you like, and how to maneuver with confidence to get ANYTHING you want! Whether you’re an introvert, extrovert, or just getting back out there, you’ll find the success you’ve been looking for once you master the game of attraction and self- confidence. Attract the kind of guys you want and not settle. Read body language and pick up on silent cues. Be aware of what your own body language is saying. Let go of self-consciousness and flirt with confidence. Spot red flags when you first meet a person whether in- person or online. Start and hold a conversation with a man that leads exactly where you want it to go. 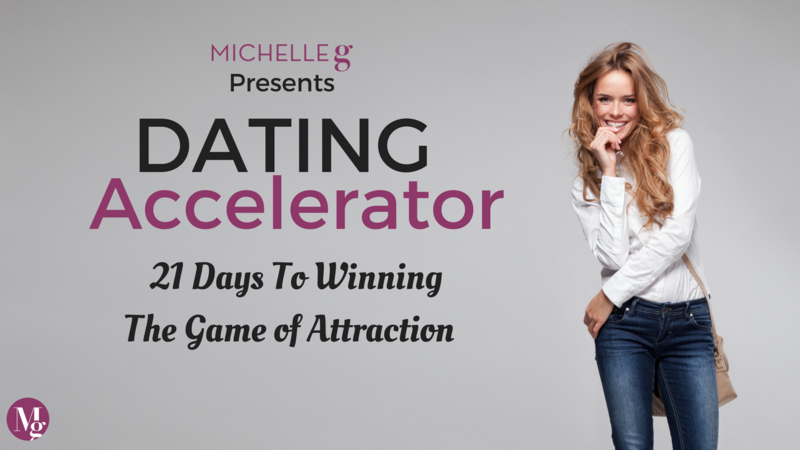 For 21 days, you'll receive short 7-minute (or less) recordings in your inbox from me where I coach you on dating and attraction both in-person and online. :: Flirting: You’ll know the right signals to send without looking awkward. :: Body Language: Read other’s body language and know instantly what they’re REALLY telling you. Plus, be aware of what your body language is saying to them. :: Conversation: Know how to engage in conversation so you’re not overbearing, chatty, or boring. :: Confidence: Be able to easily ask someone out and take the lead on things you want.